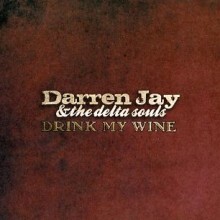 Memphis, TN – DARREN JAY & THE DELTA SOULS proudly announced the release of their new CD, “DRINK MY WINE” on September 18, 2012. “DRINK MY WINE” includes 11 songs with 9 originals as well as re-imagined versions of Willie Dixon’s “Hoochie Coochie Man” and Robert Geddins’ “Tin Pan Alley.” Featuring Darren Jay (guitar/vocals/songwriter), Laura Cupit (bass/tambourine/backup vocals), Hubert (H-bomb” Crawford (drums), and Tony Thomas (keyboards), special guests on the album include Grammy Winner and Music Hall of Fame inductee Wayne Jackson (trumpet) of the Memphis Horns, Rodd Bland, son of legendary Bobby “Blue” Bland, (drums on the instrumental “Zilla”), Art Edmaiston (tenor/baritone saxophone), Marc Franklin (trumpet), and Chris Cloys (backup vocals). 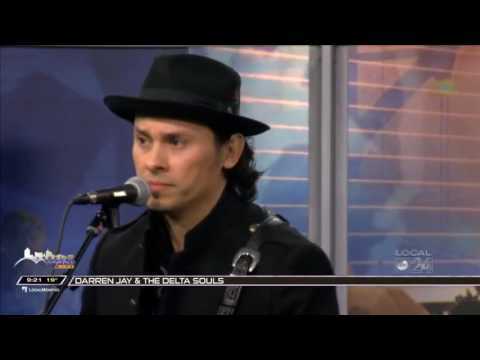 Darren Jay joined the U.S. Navy in 1996 taking a short break from the music scene in Miami from where he started playing in bands at the early age of 15. In 2005, at the age of 28, Jay left active duty to pursue his musical ambitions. 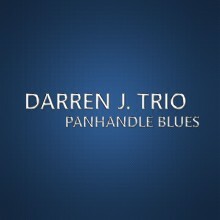 He formed the Darren J Trio in 2006. Based in Pensacola Florida, the group was a hard working traveling band that played all through the country averaging more than 150 shows a year. The band’s live shows, highly praised from fans, the Pensacola News Journal and local radio stations for their memorable performances, consisted of traditional and contemporary original high energy electric blues. 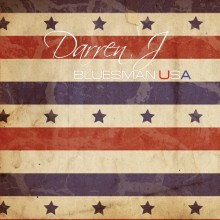 In 2007, Darren Jay released his album, “PANHANDLE BLUES,” which won him critical praise for his songwriting and guitar skills. 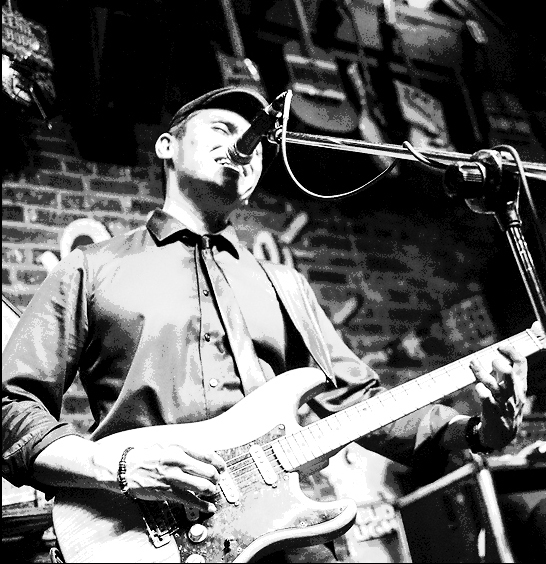 In 2008, Jay competed in the 24th International Blues Challenge in Memphis as the representative of the Blues Society of N.W. Florida. In late 2008, he relocated to Washington D.C. and joined up-and-coming artist Stacy Brooks’ band as her guitar player. By mid-2009, he had made recording contributions on Stacy Brooks studio album, “Love, Peace and the Blues,” produced by Kenny Neal and Stackhouse Recording artist Memphis Gold. Since 2009, Darren Jay has been based in Memphis, TN and and has become a powerhouse performer in the local music scene. He self-released a new album titled “DRINK MY WINE” in 2012 which features, among other special guests, Grammy Award winner Wayne Jackson from the legendary Memphis Horns. Aside from playing with his own band, he regularly plays for Brandon Santini, has played with Billy Gibson, John Nemeth, Victor Wainwright and a host of other Memphis musicians. Darren Jay was President of the Memphis Blues Society from 2010-2012 and is still an active board member. He is also an active supporter and member of The Blues Foundation. Semi-Finalist in the 2008 International Blues Challenge. “Drink My Wine” handpicked featured ITUNES Release and charted as high as #3, for Blues Albums, for 4 weeks. Receives extensive worldwide radio play and charted at #23 on the Roots Music Report for Blues.